speed and other parameters of your car or bike. Click the widget to configure it! Add it by menu->add->widgets on your home screen. Drivers Widget on the Android market. XDA developers Drivers Widget thread. 2011-02-08: From now on, you can find the changelog directly into the program description in android market, both on the phone and on their web site. 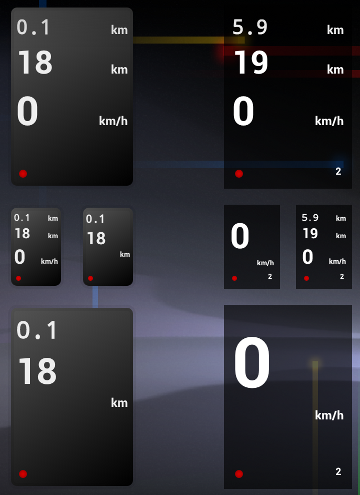 2010-11-10: version 1.1: miles, reset total, new background. 2010-11-08: first version (1.0) released in android market!